The NY metro area Haitian population is estimated at 400,000. Significant waves of Haitians from across the socio-economic spectrum entered the U.S. from 1957 to 1986 during the Duvalier era, and more recently, in the aftermath of the devastating 2010 earthquake. Haitians reside in all NYC boroughs, with the largest communities in Brooklyn, although significant community hubs can also be found in Queens and in Spring Valley (Rockland County). 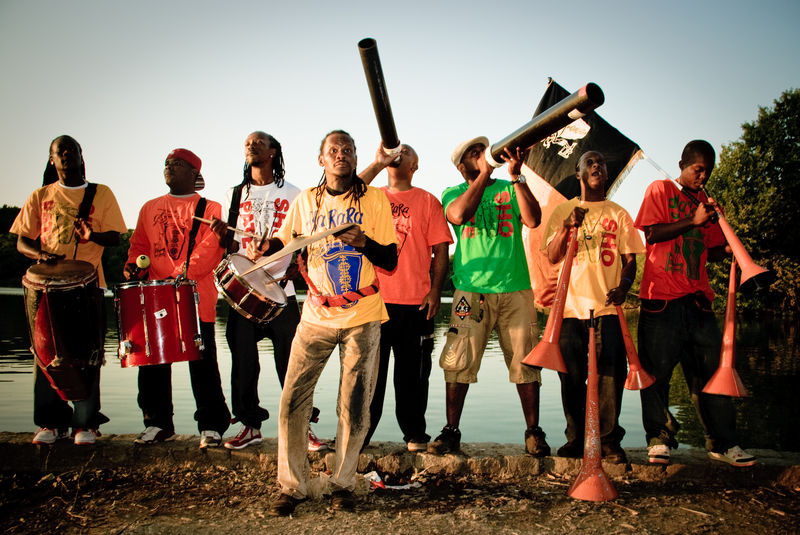 CTMD’s Haitian Community Cultural Initiative, initially called Ayiti Fasafas (“Haiti Face to Face”), became Verite Sou Tanbou: A New York Haitian Initiative in 2013. 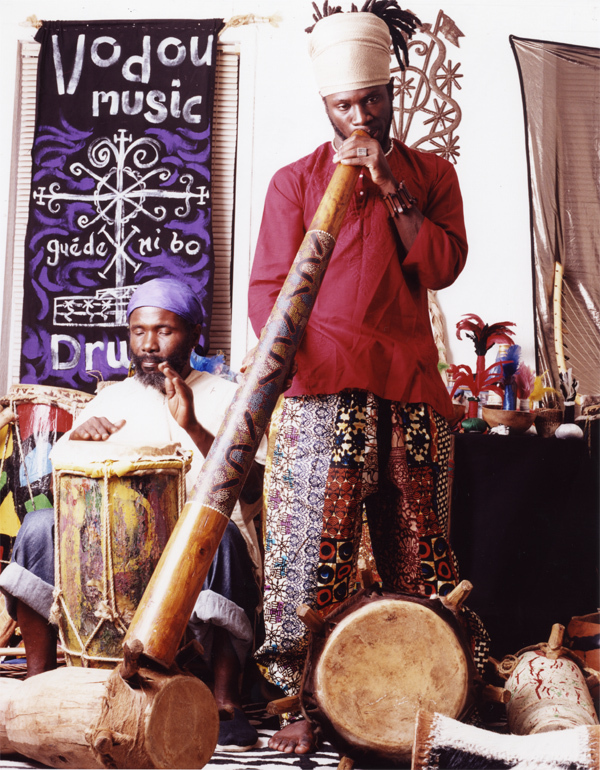 The Haitian CCI was established as a consortium of New York-based Haitian performing artists, cultural activists, and educators, dedicated to presenting and promoting the rich variety and authentic origins of traditional Haitian music and dance forms, within the Haitian community and to a wider general audience. 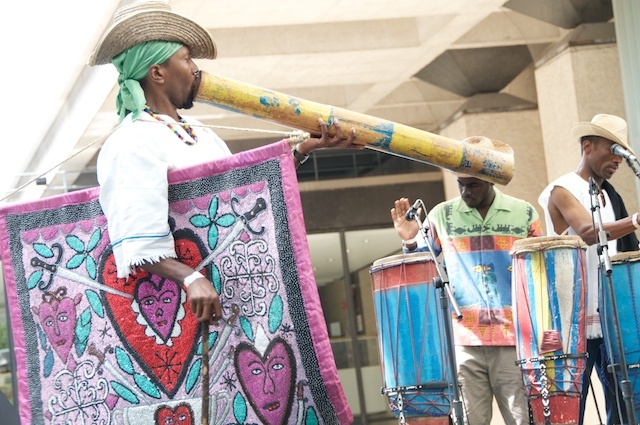 Through its programs, the Initiative challenged Oppression, negative stereotypes, and prejudice toward Haitian culture; worked to prevent the loss of cultural knowledge of Vodou/n; sought to heal divisions within our communities; and educate all New Yorkers on the diversity, value, and beauty of Haitian traditional arts. Inistyatif Kiltirèl Ayisyèn An, se yon òganizasyon/asosyasyon atis Ayisyen, edikatè, travayè ak aktivis kiltirèl, ki gen baz yo lan Nou Yòk. Yo dedye tan yo, pou pwomosyon ak prezantasyon kilti Ayisyèn lan. Lap envestige tou orijin natif-natal ansanm ak richès kiltirèl mizik ak tout fòm dans tradisyonèl ki ekziste anndan kominote Ayisyèn an, epi li vle ede pòte tout richès sa a, bay yon odyans ki pi laj. Inisyatif la atravè pwogram li yo pral kesyone, defye prejije, estereyotip negatif, atak malonèt kap fet kont kilti Ayisyèn lan. Lap travay tou pou konesans kiltirel Vodou/n a pa pedi pandan lap eseye geri maleng divizyon lan kominote Ayisyèn lan, lap fè edikasyon ak levasyon vanse sou divèsite, varyete, ak bèlte kilti tradisyonèl Ayisyèn lan. Louvri Barye: Opening the Gates, a three-part concert series celebrating Haitian traditional singing, drumming, and dance in New York City showcasing 18 local Haitian singers at South Oxford Space; a tribute to the life of NEA National Heritage Fellow Frisner Augustin (a master Vodou drummer, who passed away in February 2012), produced in partnership with La Troupe Makandal; and a program honoring Haitian dance pioneer Jean Leon Destine, in collaboration with El Museo del Barrio, featuring five of New York’s best Haitian traditional dance/music ensembles. Verite Sou Tanbou (Truths on Haitian Vodou) educational workshops series with lecture introduction to Vodou spirituality by Vodou High Priest Dieudonne Jean-Jacques, with Q&A and Vodou song performance by Rozna Zila; a dialogue between two local Oungans (priests) about leadership roles/priesthood in Vodou, followed by a performance of traditional Haitian Vodou dance by Erzuli Guillaume; and finally, a music and dance tribute to renowned New York Vodou priestess (manbo) Mama Lola, featuring the Haitian roots dance and music ensemble Kongo, led by Oneza Lafontant, and other performers. One Island: Two Houses, in partnership with City Lore and St. Francis College, a one-day symposium on Haitian rara, Dominican gaga, and these musics’ socio-historical context, with panels on the musics and their social history, plus performance of these genres by leading dancers and musicians in Haitian and Dominican communities. The program featured a screening of Miriam Neptune’s documentary film “Birthright Crisis” about the human rights struggles of Dominicans of Haitian descent, and a keynote address by African Art Historian Dr. Robert Farris Thompson. There are no upcoming events for Verite Sou Tanbou. Bwa Kay Iman, an all-day Haitian arts and culture celebration presented by Gran Bwa Culture and Neg Gran Bwa Drummers, led by Oungan Asogwe (High Priest) Deenps “Gran Bwa” Bazile. 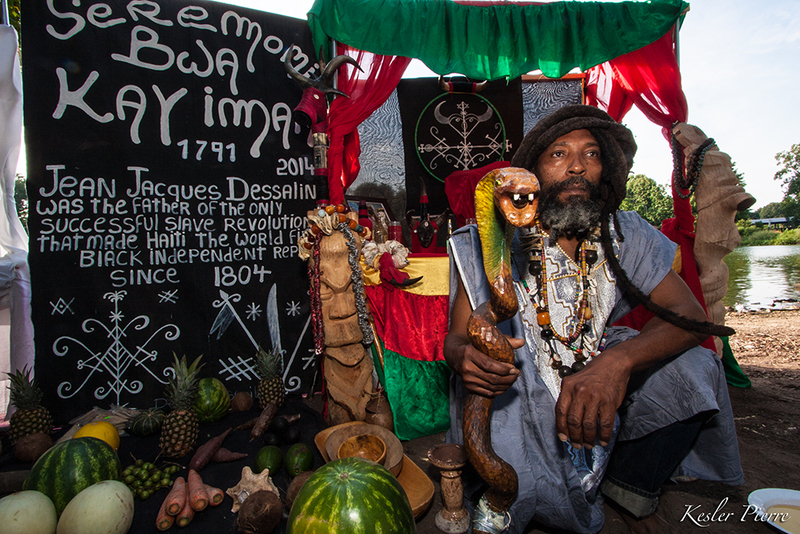 Bwa Kay Iman is a longstanding annual celebration commemorating the important slave social gathering on August 14th of 1791 that began the Haitian revolution.